Speed and convenience are the two major driving forces behind this shift in consumer behavior, and technology is the enabler making it happen. Digital ordering has posted rapid growth in the last five years, with recent data revealing that it represents 53 percent of all delivery orders, up from 33 percent in 2013. While historically Pizza and Asian food were the main choices for take out, the range of cuisine alternatives has expanded to virtually any type of food – the growth in food delivery is too big for restaurants to miss and the demand for convenience and choice is bigger than ever. 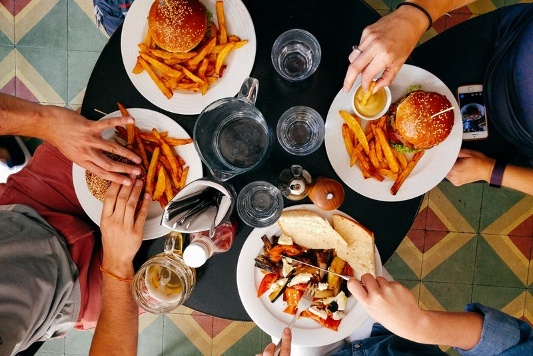 For restaurants that don’t want to build their own fleet of drivers, the multiple options available from third party delivery partners such as UBEReats, Deliveroo, or Postmates makes it easier for any restaurant to get some skin in the game – even if they have to sacrifice some of their profit margins. In fact, Uber’s fast-growing food delivery business is now bigger and more important than Uber’s conventional taxi business in many cities across the world. The new reality for the industry is that delivery is no longer a nice additional service, but a major (if not biggest) source of revenue growth. Now is the time for restaurant chains to take action before it’s too late.